Do we honestly think the Nuclear Agreement from Geneva will keep Iran in check?? 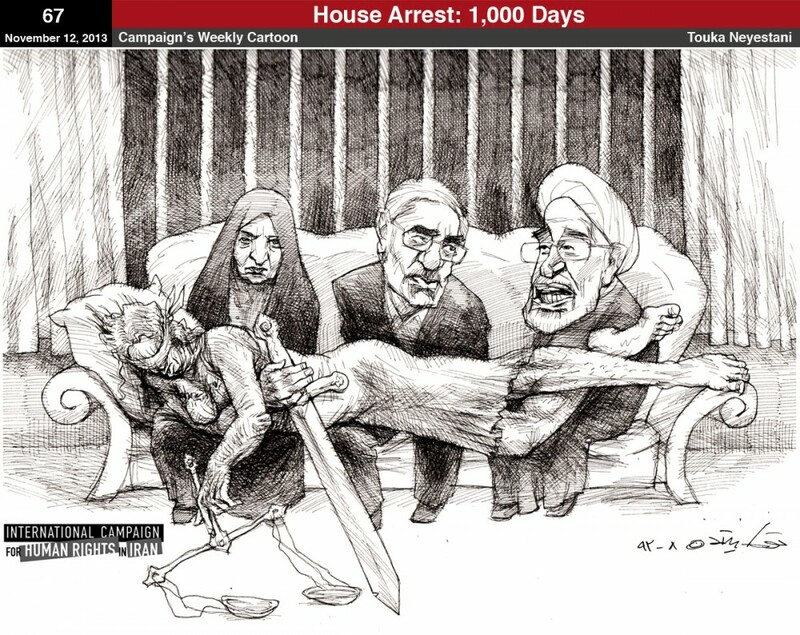 Political Prisons in Iran kept on House Arrest for OVER 1,000 Days! On November 12, 2013, opposition figures and 2009 presidential candidates Mehdi Karroubi and Mir Hossein Mousavi, and Mousavi’s wife Zahra Rahnavard, an author and political activist, will have spent 1,000 days under house arrest or detention without charge or trial. No governmental agency or body has expressly accepted responsibility for the opposition figures’ detention or brought any charges against them. How can we negotiate with a country that holds “Death to America” parades? November 4th is Iran’s “Death to America” day, and this year was no different. Thousands gathered in the streets to chant the phrase and burn American flags. How can we take this regime seriously at the negotiating table? The Nuclear Deal: Open your eyes, leaders! “The supreme leader — Ayatollah Ali Khamenei — has the ultimate say on everything in Iran, including the government, the economy, the military and the country’s nuclear program. He’s also been immune to the sanctions that have crippled the country, thanks to a hidden economy that’s flourished under his rule. Leave it to Khamenei to squirm his way out of every situation for his own benefit! The people are suffering due to the sanctions, but Khamenei is still finding a way to pay his terrorist kronies!